Burglary is a crime that is defined as entering or occupying another person’s property with the intent to commit an illegal activity. In order for a charge of burglary to be proven, the prosecutor assigned to the case under Florida law must be able to show that the subject entered the property with the intent to commit a crime, such as theft. The prosecutor will also be required to show that the subject entered the property without the permission of the property owner or manager. In an alternative situation, the prosecutor might also need to show that a person’s initial invitation to a property expired, yet the subject continued to remain at the property in an unwelcome manner. Let’s take a look at the three degrees of burglary in Florida in today’s post from the dedicated team at the office of Michael A. Gottlieb. All burglary charges in Florida are recorded as felonies. 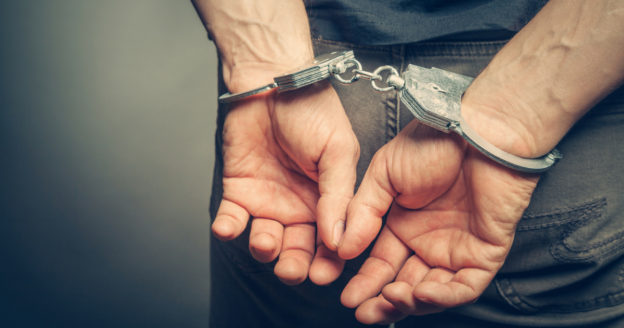 This means that you will be facing the most serious of penalties if convicted of first, second, or third-degree burglary in the Sunshine State. Third-degree felony burglary occurs in Florida when a subject enters a property uninvited and the property is unoccupied at the time. If you are charged and subsequently convicted of third-degree felony burglary you can face up to five years in state prison and a fine of no more than $5,000. Second-degree felony burglary in Florida happens when a subject enters a property without being invited and it is occupied at the time. The subject does not harm anyone during the commission of the burglary and is unarmed. Being convicted of second-degree felony burglary comes with a maximum sentence in prison of 15 years and a fine of no more than $10,000. A subject is charged with first-degree felony burglary in Florida when he or she enters a property without being invited, there is someone else present, someone is harmed, the subject is armed, or there is more than $1,000 in damage done or more than $1,000 in items are removed from the property. This charge, if convicted, comes with a prison sentence of no more than life in prison and a fine of no more than $10,000. Were you arrested in Florida and charged with burglary? This is a serious crime that can land you in prison for life and cost you thousands of dollars in fines. It’s important for you to speak to an experienced criminal defense attorney about the charges in Broward County. Call the office of Michael A. Gottlieb at 954-641-8129 today to schedule a consultation about your case. When you work with an experienced criminal defense attorney you won’t have to worry about missing filing deadlines, where to look for evidence to support your defense, and mounting a defense on your own. ← ﻿How Long Does a DUI Stay on Your Record?